Cycle touring is a great way to explore the area, and is a totally different experience to going on a day ride. The Yorkshire Dales Cycleway takes you around the whole area, the Way of the Roses takes you through the south of the Dales, while the Lakes and Dales Loop and Pennine Cycleway pass through the western part of the Park. There are 48 hour and weekly car park passes available for National Park car parks so you can leave your vehicle whilst touring. 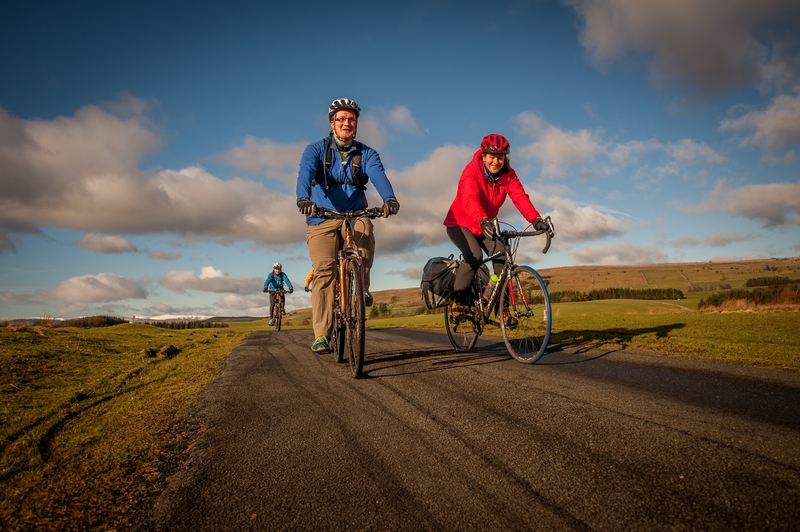 The Yorkshire Dales Cycleway (YDCW) is a superb but challenging 210km (130 mile) circular route visiting most of the major dales in the Yorkshire Dales ational Park. It is designed to be started and finished in Skipton, but it can be started at any point, or divided into sections to suit your fitness. Many will find it is ideal for a leisurely six day tour, while others may wish to cover more than one section in a day. You can view the full route info here.